So whether it be a beautiful bouquet of flowers or a hand painted piece of art, this Mother’s Day it’s easy to spoil her. An effortless gift for mother’s day that feels authentically affectionate would be one of our Sally Mackness hand painted framed art pieces. Ranging from abstract copper details to gloriously colourful blooms of Daffodils, Roses and Lavender, each of these pieces are individually handpainted, so they are all equally unique to the next. Our Mum’s do so much for us, no matter how old we are, so it’s essential she not only gets a day off but also has a good pamper to make the most of it. Ranging from candles to reed diffusers in a number of luxurious scents, it’s easy to treat your Mum with our Wild Olive collection. Comfort can be a lovely gift to give someone and with a wide range of cushions and throws to choose from, this Mother’s day it has never been easier to give the gift of sensational and stylish comfort. Ranging from neutral designs like our Elegant Lace cushion to adding a statement scatter cushion like our Bloom Floral design. 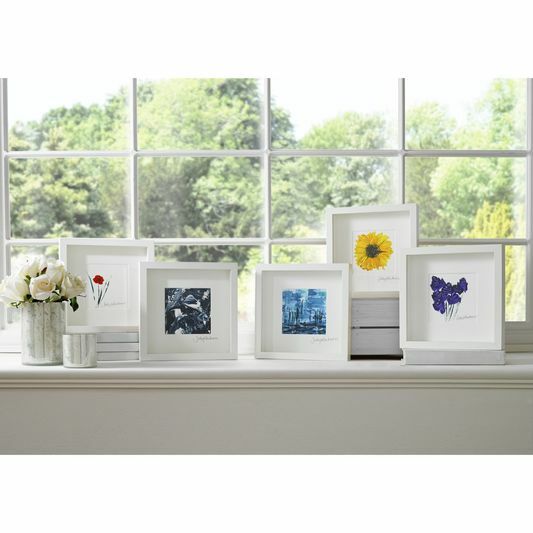 Mother’s Day lands on Sunday 26th March this year, so why not provide a loving memento in to their home with some of these décor gifts.